MSL's September 2016 Quiz - Manual Handling / Slips, Trips & Falls. Home » MSL’s September 2016 Quiz – Manual Handling / Slips, Trips & Falls. 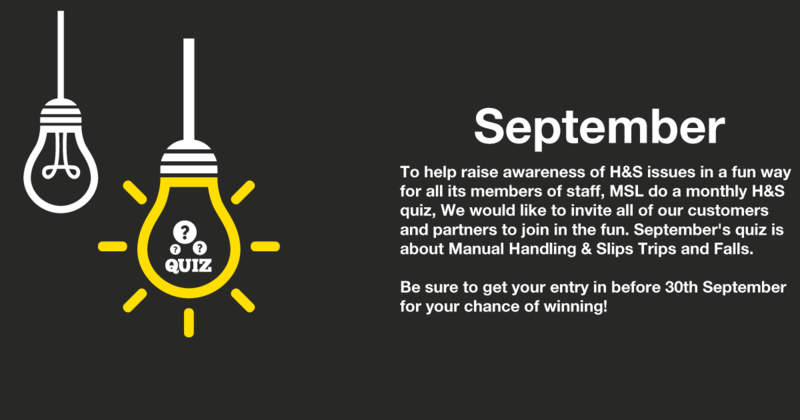 To help raise awareness of H&S issues in a fun way for all its members of staff, MSL do a monthly H&S quiz. This month it is based around Manual Handling & Slips Trips and Falls. Make sure your entry is received before 30th September to be in with a chance of winning a bottle of Prosecco! 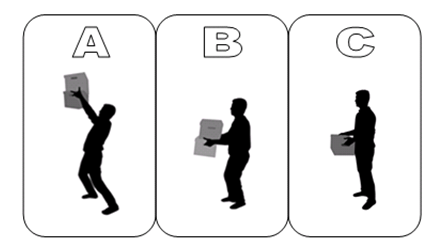 What should you do if you are asked to carry out a manual handling task that you know you won’t manage alone? Workers have a duty to take care of their own health and safety and that of others who may be affected by your actions at work. 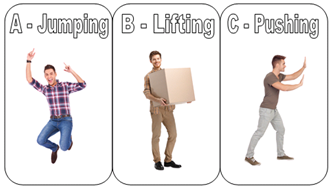 Which of the following are not manual handling activities? Which part of the body is most at risk from manual handling injuries? Which is an example of best practices that can help prevent slips, trips, and falls? What is the ideal height, in relation to your body, to carry a load?